When you book online with us, we guarantee it will be the cheapest rate out there! Book now, start saving! Just like our rates, the Davie Loyalty Club is the best value for a golf membership in the state of Florida! Take the best from a skateboard, surfboard, snowboard and a golf cart and what do you get? The GolfBoard! While pictures just don't do our course justice, they're still worth checking out! Experience South Florida's "Most Fun Greens"
Davie Golf Club is a new completely remodeled public golf course owned by the Town of Davie and the only public course in Davie, a beautiful community of the Fort Lauderdale-Hollywood metro area of Broward County, Florida. Since re-opening in 2011, local golfers have discovered the completely re-designed course with South Florida's Most Fun Greens, the best golf value, and a guaranteed fun experience. Davie Golf team members are ready to greet you with a smile and welcome you like a local. 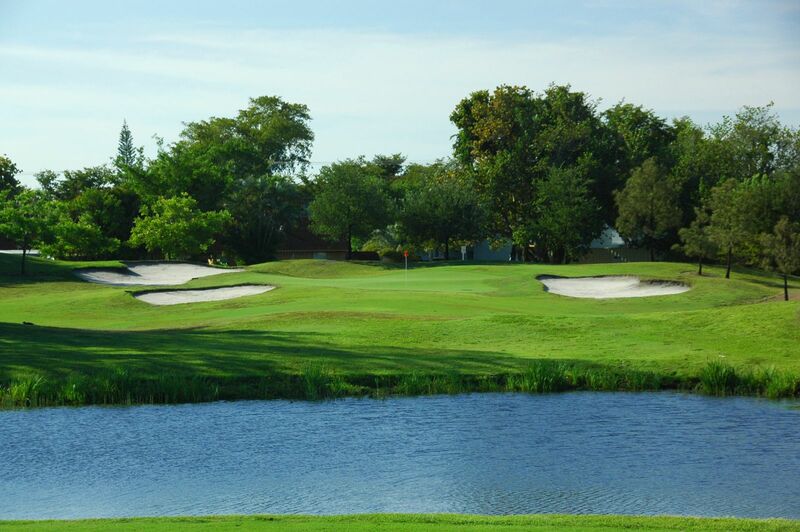 Davie Golf Club is just 15-20 minute drive from Fort Lauderdale or Hollywood beaches, 10 miles from Fort Lauderdale Airport, and just minutes from the Hard Rock Hotel and Casino Hollywood. During 2016, we made a lot of improvements to the course, starting with overplanting of all fairways with new Paspalum grass in the Spring. In August our crew re-sodded all tee boxes with Paspalum and completely refurbished the Practice Range with new sod and new concrete pads with premiere mats. South Florida's Most Fun Greens ... The greens are extremely fun and entertaining as there are no boring flat greens at Davie Golf. Players seem to agree and have been enjoying the new challenges here at Davie Golf &CC, as evidenced by the enthusiastic crowds since the course re-opened. Join the Davie Golf Club Men's Group that plays every Tues/Thurs/Sat/Sun mornings, takes trips and has quarterly tournaments.